Mastering Social Media: Have Fun! While I don’t claim to be a social media expert or “guru,” I’ve been around the social media scene for a few years (since the days of MySpace, actually.) I work for a social media company, and I coach writers about how to manage their social media and build a brand for themselves online. I keep on top of the social media industry, and I’m constantly reading blogs and articles by people far more expert than me. But there’s one thing I’ve noticed that man of the real social media experts and gurus neglect in their blogs, articles, and branding courses: social media should be fun. You can have all the best branding techniques in the world, all the most streamlined scheduling tools, all the sharpest graphics – and all of those are great. But for the novice first getting their feet wet with trying to grow a following on Twitter or Facebook, this can be overwhelming. For this week’s post, I’m sending you over to Helps2Media. For those who don’t know, Helps2 is a digital marketing and social media company, and it’s where I work for my day job. Last week I penned the blog post – it’s about how artists/writers/creatives of all types can be artistic yet still be professional online and (thus increase their reach and sell their stuff.) Check it out! to develop a fan base, the best way to do that is to be accessible. And social media provides the perfect venue for you to connect directly with your fans. I wrote a post not long ago about using Pinterest and how it can help you as a writer to organize ideas and research. If you’re not familiar with Pinterest, then this post is a good introduction to the picture pinboard concept of Pinterest. If you already use Pinterest (or are interested in getting started), here are 5 quick tips about how you can use this site to boost your writing or market your books. This is probably the most important one for increasing your online exposure and boosting traffic to your website. If you have pictures on your website and blog posts, then when people find those images on Pinterest, there will be the automatic link back to your website. Have you ever found a cool new website because you followed a link on a pin? Well, others can find your website the same way! 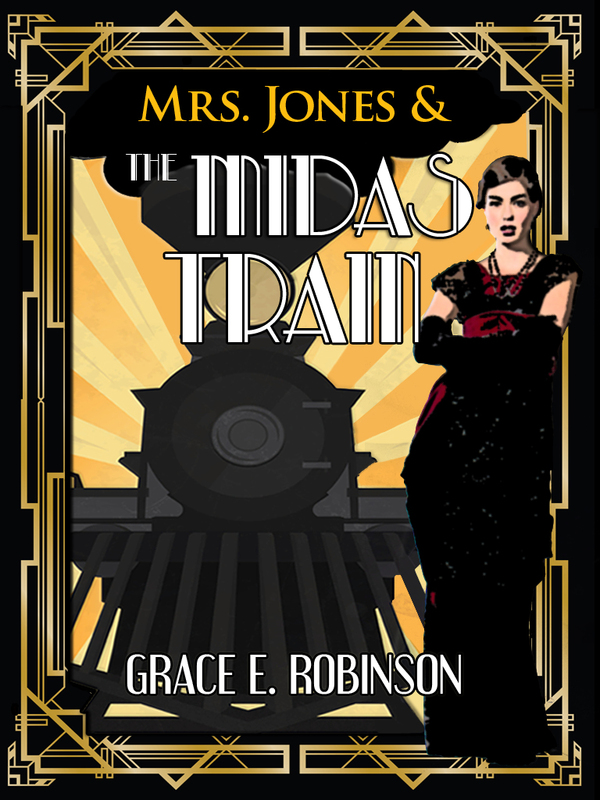 This is from my secret board for a 1930s historical fiction story I’m working on. This is all you will see of this board till much later! Do you have a place where you collect images and links for inspiration? 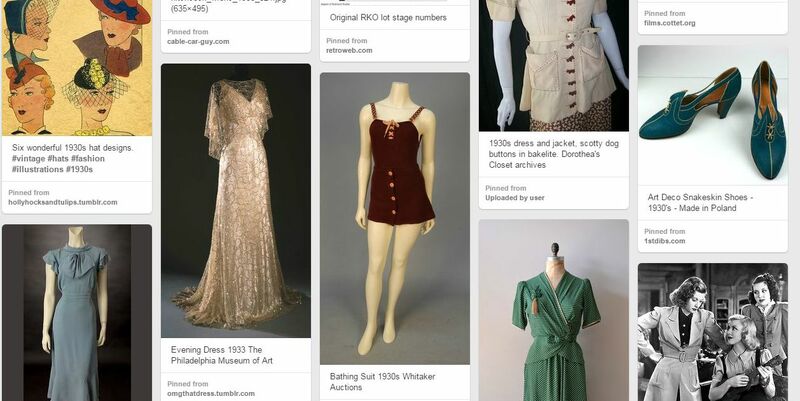 Pinterest offers something called “secret boards” that only you can see, so you can now create boards for research or WIPs (works in progress) without making everything public. When the time is right, you can make the secret board public if you want, or transfer some of the pins to a public board. If you’ve published a book (or even articles on other website or blogs) you can pin these. Pin your book cover from Amazon – then the link will take users right to your book. If you’re working on a project that you do want to share with the world, then a Pinterest board of your research and inspiration will help you gain followers and fans even before the book is out. I love music. Music often finds its way into my writing, but I have a general music-ish board that’s not specifically related to my story ideas. Your fans want to get to know you as a person. They may love the gritty thrillers that you write (and they follow all of your related pinboards), but they’d probably also like to know that you love dogs and that you enjoy hiking. There’s nothing wrong with having non-writing boards, as long as it’s part of the public image that you want to share. This goes for any social media. Make sure your profile picture on Pinterest matches your profile picture on your Facebook fan page and your picture on your website. On Pinterest, profiles are pretty bare-bones, but there is space for links to Facebook, Twitter, and a website. If you have any of those, make sure you link them to your Pinterest account – and then make sure that you keep all of those profiles clean and up-to-date. Nobody wants to track down their favorite author online only to discover that said author hasn’t tweeted in two years or hasn’t gotten around to listing their newest book on their website. My Pinterest profile page. Simple but effective. 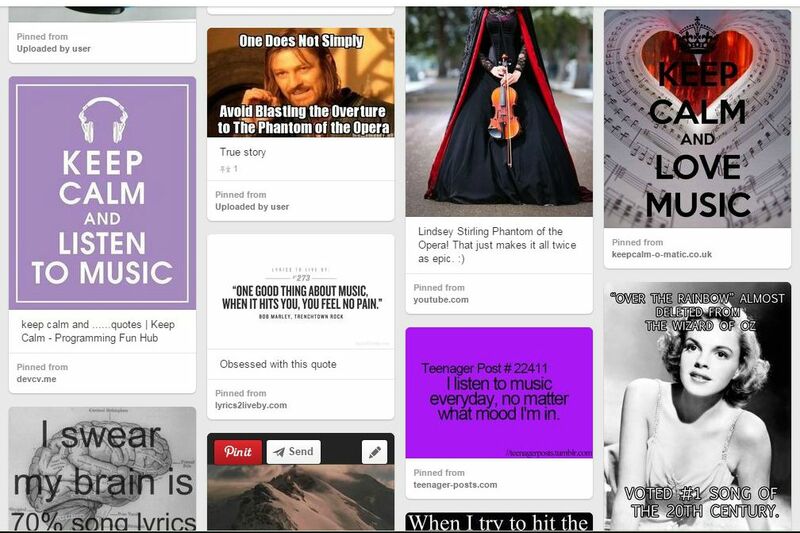 Do you use Pinterest for your writing? What’s your favorite thing about Pinterest?